The nearest airport is Nagpur which is approximately at a distance of 130kms and an alternative is to reach via Jabalpur airport which is approximately 210kms from Pench. Nagpur is an international airport and has more flight connectivity than Jabalpur. Nagpur is the nearest railway station at an approximate distance of 130kms with well connected railway facility. Jabalpur railway station is another option that is at an approximate distance of 210kms. Details can be checked and trains can be booked online through www.irctc.co.in and www.indianrail.gov.in. Lodge will be happy to book a vehicle for pick up and drop from the station or airport on prior information. Pench Tiger Reserve is located on the Nagpur-Jabalpur Highway. You can go by road from Jabalpur or Nagpur and reach Pench in three to four hours. Another option is to go via Bhopal which is approximately 500 km from Pench or Kanha. 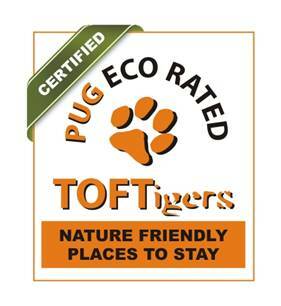 Nearest bus stand to Pench is Khawasa or Seoni and hourly buses are available from Nagpur. Khawasa is 12 km from Pench and you can avail the pick and drop service organized by the resorts. Khawasa gives access to Turia gate side of Pench. For Karmhjiri side, its best to get dropped at Suktara and Pench Tree Lodge is 20 km from there. 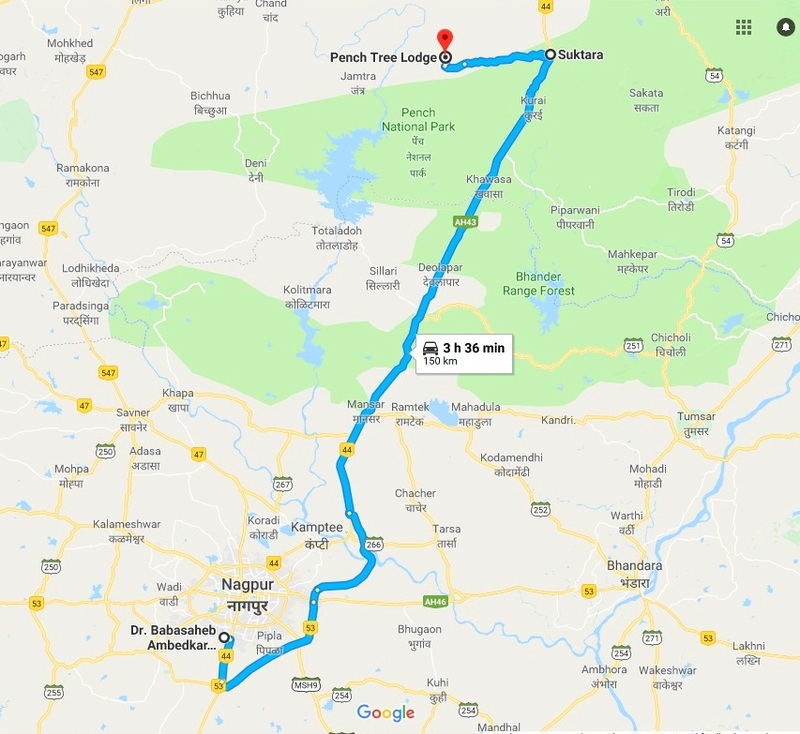 If you are using Google Map for directions from Nagpur, please ensure that you do not enter 'Pench Tree Lodge' but enter 'Suktara' first and once you reach 'Suktara' then change the destination to 'Pench Tree Lodge'. If you enter the same directly in google maps, you are directed through the roads which are closed as they are inside the national park. From Nagpur airport, the approximate distance to Pench Tree Lodge is 150 kms, the same is slightly lesser from the railway station.